CAA has just published the Annual Report 2012–2013, which describes the organization’s accomplishments over the past year as well as other notable efforts as they relate to the Strategic Plan 2010–2015. You may download a PDF of the nineteen-page document. Abundantly illustrated by photographs from the 2013 Annual Conference in New York, the report describes recent developments in several important areas, such as the Task Force on Fair Use, several publications initiatives (including an analysis of the financial structure and distribution of CAA’s three journals), a grant from the Alliance for Networking Visual Culture for two scholarly projects using the Scalar platform, and the CAA International Travel Grant Program, generously funded by the Getty Foundation. Also covered is an overview of the Task Force on the Strategic Plan for 2015–2020 as well as highlights from the current plan that CAA has accomplished so far, such as free wireless internet at the Annual Conference and the publication of CAA’s directories of graduate programs in the arts. In addition, the annual report includes a membership report, a selected list of grants received during the fiscal year, and statistics related to CAA News, www.collegeart.org, Twitter, and Facebook. An update on professional-development activities and a financial statement on the 2012 fiscal year close the report. We hope you will enjoy reading about CAA’s accomplishments. It’s been already forty years since Martha Wilson radically intervened in Conceptual art by including the female body, especially her own, in her endeavors. She also pioneered uses of masquerade to explore the effects of the camera in self-representation, deconstructing gender stereotypes and exposing the fluidity of gender and identity. Organized by the Independent Curators International and curated by Peter Dykhuis, this traveling exhibition examines the radical strategies and politics that underpin Wilson’s work as a visual artist—especially her performances, videos, and photo-text compositions—and as an activist and the founder of Franklin Furnace from the 1970s to today. Accompanying the exhibition is a catalogue and a parallel program that will raise interesting questions about feminism today, the state of masculinity codes, and more. In recent years, a series of blockbuster exhibitions and several high-profile symposia have set out to assess the past and present of feminist art practice, theory, and history. This session seeks to pinpoint and debate the key issues arising from these attempts to make retrospective sense of the past forty years of feminist work in the visual arts. Does this remarkable upsurge in artistic, curatorial, and art-historical interest in art practice inflected by feminism constitute the first step in putting feminism on the map, or else does it draw a line under a diverse constellation of works, practices, and texts that are to remain forever suspended between countercultural revolution and institutional acknowledgement? Feminism’s impact on art practice, theory, and history is frequently presented either as a series of successive “waves” or as a set of (often mutually antagonistic) mother/daughter/granddaughter relations. This session for the 2014 annual conference of the Association of Art Historians aims to redress this focus on linear progression and generational division by reconsidering temporality in feminist art practice, theory, and history. The session chairs invite contributions from practicing artists, art historians, and art critics that revisit and recast historical practices and texts or otherwise explore potential feminist futures in the visual arts. To foster a productive encounter among a multiplicity of feminist perspectives and to stimulate open dialogue among those who may have come to feminism at different moments in time and from different cultural contexts, the chairs seek short papers of twenty minutes, which will be followed by a roundtable discussion featuring all speakers. If you would like to participate, please email the chairs directly, providing an abstract of a proposed paper of twenty minutes (unless otherwise indicated): Joanne Heath, independent scholar; and Alexandra M. Kokoli, Robert Gordon University, Aberdeen. The abstract should be no more than 250 words; proposals should include your name and institution affiliation (if any). You will receive an acknowledgement of receipt for your submission within two weeks. Deadline: November 11, 2013. The first major survey of the work of Lorna Simpson in Europe brings together signature masterpieces from all stages of her thirty-year-long career, including examples of the large-format photo-texts from the mid-1980s that first brought her critical attention, such as Gestures/Reenactments, Waterbearer, and Stereo Styles, and several series of screen prints on felt from the 1990s, including Wigs, The Car, The Staircase, Day Time, Day Time (gold), and Chandelier. The show also presents a group of recent drawings called Gold Headed, her Photo Booths ensembles of found photos and drawings (such as Gather and Please remind me of who I am…), and several video installations, including Cloudscape and Momentum, with evocative narratives that question the way in which experience is created and (mis)perceived. As such, the exhibition traces the continuity that underpins Simpson’s experimentation with photography and film and her questioning of the conventions of gender, identity culture, and memory, especially as an African American female artist, while seeking to further illuminate the intimate relationship of text and image that characterizes her work and the centrality of memory among her thematic preoccupations. Another exhibition celebrating Yoko Ono’s eightieth birthday, Yoko Ono: Half-a-Wind Show is a major retrospective that seeks to reinstate her importance as a Conceptual artist, both political and avant-garde, as well as to complicate the experience of her work in various media. The show is introduced by En Trance, a major architectural installation shown for the first time in many years that offers six entry points to her work, alluding to the participatory aspect of her work while enabling different narratives of it to unfold. The exhibition’s first section features groundbreaking experimental and conceptual works from the early 1960s, performed first in New York and later in Japan. It continues with large installations and recent works and also includes Moving Mountains, a new installation that invites its participants to form mobile sculptures from cloth bags. One area is devoted to Ono’s music videos, concert recordings, covers, posters, and more. The exhibition also emphasizes Ono’s political commitment and her efforts to engage in dialogue with people all over the world—both inside and outside the museum—through social media, billboards, and participation pieces. In Louisiana Park visitors are invited to hang their personal wishes on a Wish Tree, and large billboards throughout Copenhagen display poetic messages from the artist. Agnès Varda (born 1928) established herself as an important figure in French cinema with her first film, La Pointe Courte (1954), which was considered as the starting point of the French New Wave—even though she was then in her mid-twenties and had no formal training as a filmmaker. Celebrating her lifelong achievement in filmmaking, Bildmuseet is showing a selection of Varda’s documentary projects from the 1960s and 1970s as well as newer works that display the boundary-transcending way in which she moves between the cinema theatre and the gallery showroom, between photography and cinema, and between moving and still images. Many of her films have political and feminist dimensions, such as Black Panthers (1968) and Réponse de femmes (1975), in which documentation and fiction overlap. Bringing together new sculptural and photographic works by the acclaimed British artist Cornelia Parker that transform overlooked and often uncanny facets of the city streets such as pavement cracks, accidental spills, and discarded pieces of wood into evocative objects and images, this exhibition captures a few of the hard-to-pin down threads that mark Parker’s diverse production: her interest in architecture; the antisculptural fragility of her sculptural objects and their mode of display; and the dark, personal, or social evocations and origins of their conception. 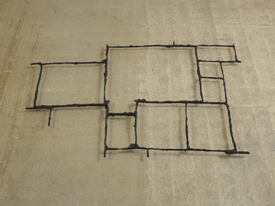 The exhibition consists of Black Path (2013), a linear structure of black bronze that hovers above the floor and three-dimensionalizes the cracks of the paving stones of the Bunhill Fields cemetery, through which the artist has been walking her daughter to school, often playing “don’t step on the lines,” a game that rekindled childhood memories and fears of street cracks. Unsettled (2012) uses wood collected from the streets of old Jerusalem, reassembled and precariously relocated against the walls of the gallery. The found abstract patterns on cracked walls provide the inspiration for Prison Wall Abstracts: A Man Escaped (2012–13), a set of twelve photographic prints depicting the perimeter wall of Pentonville Prison in London, whose broken surface of wall had been repaired by workmen with white filler in gestural patterns worthy of any Abstract Expressionist painter. Parker captured these walls before they were obliterated forever by a layer of magnolia paint. “Jerusalem”—both the poem of Bunhill Fields cemetery’s famous incumbent, William Blake, and the “holy city” where Parker filmed her latest work—lace up all three works, especially due to the effect of the Jerusalem syndrome (the tendency of the locals to attribute religious importance to random images) on the artist and the rekindling of her childhood fascination with identifying configurations on the cracked walks of her room at bedtime. Selbstmord, Suicide presents two extensive series of works by the Swiss-born, Berlin-based painter Valérie Favre that respectively deal with life and death. The Suicide cycle (2003–13) consists of 129 small-format paintings representing scenes of self-chosen death, focusing on the moment of the radical decision to end one’s life and the self-dramatization of the theatrical moment of death. The works refer to known suicide scenes from history, art, and literature as well as from current newspaper reports. Created especially for the exhibition, the second group, called still/leben (de la fragilité des fleurs n°5) (2013), consists of small- and large-scale paintings of floral still lifes. Addressing the creative process in a diaristic manner, the artist produced a small still life of a flower arrangement every day three months prior to the show, while adding one brushstroke at a time to the larger canvases. During the exhibition, a different small work is selected daily for exhibition. 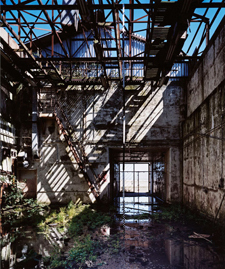 At 303 Gallery, the twin sisters Jane and Louise Wilson will for the first time combine several bodies of work, including two photographic series: Atomgrad (Nature Abhors a Vacuum) (2010–12), depicting the town of Pripyat, built in the early 1970s by the Soviet Union to house Chernobyl factory workers; and Toxic Camera, Blind Landing Lab 1 (2012), which documents the Wilson’s first publicly sited installation, on a former H-bomb test facility on Orford Ness, an island off the Suffolk Coast owned by the United Kingdom’s Ministry of Defense. Pauline Boty: Pop Artist and Woman is the first survey of this major yet short-lived contributor to British Pop since the rediscovery of her work in a family barn in the early 1990s. Before written out of British Pop’s history and reduced to a pale memory of a mythic figure, Pauline Boty (1938–1966) was included in Ken Russell’s landmark 1962 television documentary Pop Goes the Easel, which introduced her as one of the four protagonists of the Royal College of Art’s Pop scene in London (alongside Peter Blake, Derek Boshier, and Peter Philips). Soon, however, Boty, who had studied stained glass, reinvented herself as a painter by grafting her penchant for abstraction and collage through a figurative Pop idiom and by passionately embracing popular culture—all while speaking subversively as a woman, that is, by using the objects of her fanzine fascination to transgressively celebrate female sexuality and desire and to critically expose the sexism of pop and visual culture. Bringing together more than forty works, some of which were considered lost and have never before been shown, Pop Artist and Woman traces the development of Boty’s work from a stained-glass student to a British Pop painter and establishes its unmistaken Popness and the radical nature of its politics, especially its feminism. 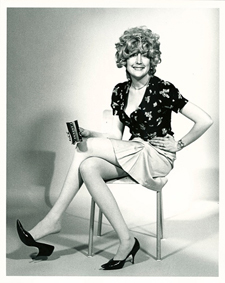 Contextual archival material and an extensive catalogue by the curator Sue Tate further establishes her importance, analyzing her neglect and shedding light onto her life and her brief media stardom as a beauty and an actress. Most important, the exhibition joins other recent scholarship and exhibitions that question the neglect of female Pop artists by standard art history. Moyra Davey: Hangmen of England introduces the work of a New York–based photographer, filmmaker, and writer—and a star of the 2012 Whitney Biennial—to the United Kingdom as part of a program called LOOK/13 at the Liverpool International Photography Festival. The project draws attention to the intimacy of Davey’s photographic practice and her use of common objects as starting points to unravel complex themes. For this exhibition, she presents work created using photographs taken in Liverpool and Manchester. As often the case with this artist, these images are influenced by personal stories and by narratives drawn from literature and theory. They were mailed to their city of origin, allowing the creases, tape, and mailing stamps marking each photograph to provide a physical trace of its journey. The exhibition also includes a new version of the artist’s celebrated Copperhead series. Inspired by the global economic crisis, this series consists of one hundred close-up photographs of the profile of Abraham Lincoln engraved onto the most devalued denomination of American currency—the one-cent coin—to encourage a reevaluation of the fleeting beauty of the everyday. Copperhead reflects on the psychology of money and the varieties of decay brought about by the passage of time. Each week CAA News publishes summaries of eight articles, published around the web, that CAA members may find interesting and useful in their professional and creative lives. Remember Talent? Does It Still Matter in Art Education? Help Desk: Release the Press! Each month, CAA’s Committee on Women in the Arts produces a curated list, called CWA Picks, of recommended exhibitions and events related to feminist art and scholarship in North America and around the world. The CWA Picks for July 2013 consist of numerous excellent exhibitions of women artists in Europe: Lorna Simpson in Paris; Yoko Ono in Denmark; Agnès Varda in Sweden; Valérie Favre in Germany; and Pauline Boty, Moyra Davey, and Cornelia Parker in the United Kingdom. Here in the United States, Martha Wilson is showing work at the Institute of Visual Arts in Milwaukee, Wisconsin, and Jane and Louise Wilson have a show at 303 Gallery in New York. The CWA Picks also list a call for papers for a session at the next annual conference of the Association of Art Historians. Check the archive of CWA Picks at the bottom of the page, as several museum and gallery shows listed in previous months may still be on view or touring. The American Council for Southern Asian Art (ACSAA) invites members to contribute information regarding recent publications, exhibitions, conferences, or other newsworthy items for publication in the 2013 Bulletin. Submissions should be sent to the Bulletin’s editor, Melody Rodari. Art, Literature, and Music in Symbolism and Decadence (ALMSD) will present two workshops under the title “Symbolist Movement and Mental Illnesses” at the Congress of Comparative Literature, taking place in July 17–24, 2013, in Paris, France. The moderator for both events is Rosina Neginsky, ALMSD president. The workshops are scheduled for Friday, July 19, between 2:30 and 6:45 PM. Neginsky is also presenting a paper, “Flaubert’s Herodias: Pictorial or Ekphratic?” on Monday, July 22, 2013, between 11:00 AM and 12:30 PM. Community College Professors of Art and Art History (CCPAAH) is reaching out to new members: please visit the blog and keep up with the organization on Facebook. CCPAAH sponsored two sessions over the past year. Both “Teaching All of Our Students: Few Majors, Fewer Transfers, Many Others” at the CAA Annual Conference in New York and “The Value of Writing in the Foundation Year: Exploring New Approaches” at the Foundations in Art: Theory and Education (FATE) biennial conference in Savannah, Georgia, were well attended and very successful. CCPAAH invites its members to submit proposals for papers to be presented at the next CAA Annual Conference, taking place February 12–15, 2014, in Chicago. The session, “Starting the Conversation: Engaging Students in the Studio and Art History,” will examine innovative ways to engage students in all kinds of courses: studio, digital, art history, art appreciation, and online. Paper topics should highlight best practices and might include: inventive ways to get students engaged in coursework; writing assignments beyond the standard art-history research paper; collaborative work; and using technology to help students become active learners. Please send all questions regarding CAA proposals to CCPAAH@gmail.com. The deadline for submittal of proposals is July 20, 2013. For more information about upcoming events and for general inquiries about the organization, write to CCPAAH@gmail.com. The Historians of Islamic Art Association (HIAA) plans to hold its fourth biennial symposium in October 2014 at the new Aga Khan Museum in Toronto, Ontario. The symposium theme and the call for participation will be announced this summer. On April 25, 2013, International Sculpture Center (ISC) honored Wayne E. Potratz of the University of Minnesota with its prestigious Outstanding Educator Award for 2013. Over one hundred of Potratz’s friends, colleagues, and former students came to witness him receiving the award and to congratulate him on his many exceptional achievements as both an educator and an artist. ISC established the Outstanding Educator Award program in 1996 to recognize individual artist-educators who have excelled at teaching sculpture in institutions of higher learning. Potratz, who earned his master’s degree in 1966 at the University of California, Berkeley, has been a faculty member in the University of Minnesota’s Department of Art since 1969. He chaired the department from 1985 to 1998 and is currently Professor and Scholar of the College. His work has been exhibited in 30 solo or two-person exhibitions and in 340 group exhibitions regionally, nationally, and internationally since 1964; it is also represented in 28 public and corporate collections and in 165 private collections. Potratz was a cofounder of the International Conference on Contemporary Cast Iron Art and has an extensive record of lectures, workshops, and professional service since 1966. For award details or to nominate an outstanding educator, please visit the ISC website. The Italian Art Society (IAS) has announced the location of the fifth annual IAS/Kress Foundation Lecture in Italy for spring 2014: the Università di Pisa. Established North American scholars who wish to speak on ancient to modern art in the region of Pisa and Tuscany are welcome to apply (deadline: January 4, 2014). IAS thanks Sarah Blake McHam of Rutgers University, who spoke to a full house as the fourth annual IAS/Kress Lecture speaker. Her presentation, called “Laocoön, or Pliny Vindicated,” took place at the Fondazione Marco Besso in Rome on May 28, 2013. IAS is pleased to announce its second Research and Publication Grant up to $1,000 (deadline: November 1, 2013). The society is also accepting applications for two $500 Travel Grants to support graduate students and/or emerging or independent scholars giving conference papers on Italian art in 2014 (deadline: November 1, 2013) and for grants for IAS members abroad to travel and present papers in IAS sessions at American conferences (deadline: October 7, 2013). IAS had well-attended sessions at the 2013 meetings for CAA, the Renaissance Society of America, and the Society of Architectural Historians, and at the International Congress of Medieval Studies. IAS will sponsor sessions at the same conferences in 2014. See http://italianartsociety.org/conferences-lectures for details. The 2013 annual conference of the National Council of Arts Administrators (NCAA) is moving to September; registration is now open. 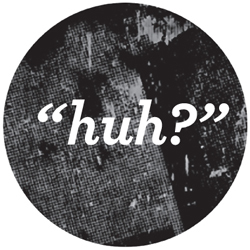 The conference, called “Huh? The Value of Uncertainty and Doubt in the Arts,” will convene in beautiful and temperate Richmond, Virginia. Richard Roth and Joe Seipel of Virginia Commonwealth University have ambitious plans for an amazing event, which will offer timely and forward-looking sessions, an administrator’s workshop, a program for partners and spouses, and much more. As always, NCAA enthusiastically welcomes any and all interested professionals to its conference. Register by September 3, 2013, for the advance rate of $275 ($325 after September 3 and $350 onsite). Please also reserve your hotel room by August 26 for the NCAA group rate of $175/night at the beautiful Jefferson Hotel. Please visit the conference website for speakers, schedule, events, travel, and FAQ. The NCAA website has been redesigned and has migrated to a new hosting service. Please visit the redesigned site to renew your membership and to update your contact information. Membership provides access to the Members Area, where you can post positions, email the membership, create member communities, link to resources for arts administrators, and avail yourself of other valuable services. 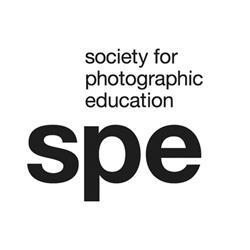 The Society for Photographic Education (SPE) seeks curators, professors, gallerists, art historians, and scholars to review student and/or professional member portfolios at SPE’s fifty-first annual conference in Baltimore, taking place March 6–9, 2014. Portfolio reviewers receive a discounted admission to the four-day event in exchange for their participation. Please visit the SPE website for more information on the conference offerings. To express interest in serving as a portfolio viewer, write to info@spenational.org. The Society of Architectural Historians (SAH) is please to announce the H. Allen Brooks Travelling Fellowship. This new fellowship will provide a $50,000 award to allow a recent graduate or emerging scholar to study by travel for one year. The fellowship is not for conducting research. Instead, Prof. Brooks intended the recipient to study by travel and contemplation while observing, reading, writing, or sketching. The goals of the fellowship are as follows: to see and experience architecture and landscapes firsthand; to think about his or her profession deeply; and to acquire knowledge useful for the recipient’s future work, contribution to the profession, and contribution to society. The fellowship recipient may travel to any country or countries during the one-year period. The application deadline is October 1, 2013. The Society of Historians of East European, Eurasian, and Russian Art and Architecture (SHERA) is soliciting proposals of papers for its sponsored session, “Decentering Art of the Former East,” at CAA’s 2014 Annual Conference in Chicago. The session seeks to move beyond traditional binaries of East and West and rethink how the art of the region it studies can be understood in an increasingly global art history. The chairs seek historically grounded case studies of Russian, Eastern European, and Eurasian art from the Byzantine era to modern times that productively explore these issues. Interested contributors should contact the session’s cochairs, Masha Chlenova and Kristin Romberg, for more details. The deadline for proposals is August 1, 2013. SHERA is delighted to welcome three new institutional members: the Hillwood Estate, Museum, and Gardens in Washington, DC, with its comprehensive collection of Russian imperial art and outstanding research library; the Institute of Modern Russian Culture at the University of Southern California, a major research center dedicated to the intellectual and material culture of Russia; and the Zimmerli Art Museum at Rutgers University, which holds both Russian imperial art and the world’s largest collection of Soviet nonconformist art. SHERA maintains an active listserv and Facebook page and is currently creating a new website. New individual and institutional members are welcome. Please direct your inquiries for more information to SHERA.artarchitecture@gmail.com. The thirty-second annual conference of the Visual Resources Association (VRA) will be held in Milwaukee, Wisconsin, from March 12 to 15, 2014. Proposals are now being solicited for the program sessions, workshops, papers, posters, special interest/user groups, and case studies. You access the Google Docs version of the conference proposal form, which can also be found on VRA’s conferences page. Questions about the proposal process and the various presentation formats included in the VRA conference program can be directed to Steven Kowalik, vice president for conference programming. The proposal deadline is July 15, 2013. The Women’s Caucus for Art (WCA) announces the 2014 recipients of its Lifetime Achievement Awards: Phyllis Bramson, Harmony Hammond, Adrian Piper, and Faith Wilding. The recipients for the 2014 President’s Art and Activism Awards are Janice Nesser-Chu and Hye-Seong Tak Lee. Please join WCA for the awards celebration on Saturday, February 15, 2014, in Chicago. The celebration will be held during the annual WCA and CAA conferences. The awards ceremony, open free of charge to the public, will take place from 6:00 to 7:30 PM, followed by a ticketed gala from 8:00 to 10:00 PM at the Museum of Contemporary Art, Chicago. The ticketed gala will include a walk-around gourmet dinner, open bar, and the opportunity to congratulate the awardees. Mark your calendars! Gala tickets will be available for sale in the fall. The New York Center for Art and Media Studies (NYCAMS) offers a one-semester, sixteen-credit-hour undergraduate residency for visual artists, designers, and creative writers in New York. Our programs combine rigorous classroom study with internship and fieldwork experience, providing our students broad and competitive platforms for entering the arts professions. For eight years, NYCAMS has operated successfully as an off-campus program of Bethel University, serving over three hundred students from twenty-two partner institutions. However, current economic and enrollment challenges necessitate the search for a new host institution. NYCAMS is seeking administrative and fiscal oversight from a college or university with a vision for serving the next generation of young artists through interdisciplinary modes of instruction, collaborative models of learning, and dedicated professional mentorship. To learn more, please contact NYCAMS director John Silvis. Get involved in an issue that you care about! CAA invites members to apply for service on one of its nine Professional Interests, Practices, and Standards Committees. These committees address critical issues in the visual arts in an attempt to deal with, and respond to, the pressing concerns of CAA’s members. Communicating via listserv throughout the year, each committee takes on the objectives it has set for itself, which include: programming ARTspace at the Annual Conference; establishing best practices, standards, and guidelines; sharing and examining pedagogical practices; examining new and developing technologies; addressing issues critical to emerging professionals as well as concerns of diversity and gender; extending the reach of CAA internationally; and clarifying and debating matters of fair use, copyright, and open access. This vigorous exchange of information reveals common goals and leads to solutions that will help CAA members to weather their changing professional landscape. Committees are active at the Annual Conference in February, where each presents one or two sessions on a subject of its choosing. These sessions, sometimes collaborations between committees and sometimes dealing with workforce issues, are meant to be of immediate value to CAA members. Also at the conference, the committees hold face-to-face business meetings and discuss the past year’s accomplishments while targeting ideas for future projects. Participation on a committee is an excellent and fruitful way to network with other CAA members; for some individuals it is a stepping-stone to service on the organization’s Board of Directors. The public face of several CAA committees appears most visibly at the conference. The Services to Artists Committee, for example, conceives nearly all content and programming for ARTspace, ARTexchange, and the Media Lounge, while the Student and Emerging Professionals Committee organizes events on professional-development issues that take place in the Student and Emerging Professionals Lounge. Online, the Committee on Women in the Arts publishes the monthly CWA Picks of exhibitions and events related to feminist art and scholarship, among other activities. Last year, the Museum Committee conducted a survey of museum-based members; it also advocates greater access to museum image collections. After conducting a survey of its own, the International Committee warmly welcomed and hosted twenty travel-grant recipients who attended the New York conference from around the world. The Professional Practices Committee continues to study, develop, and revise CAA’s Standards and Guidelines, so that these documents, once approved by the CAA board, become authoritative, comprehensive documents for art-related disciplines. The Committee on Diversity Practices is compiling syllabi that consider diversity and inclusiveness in curricula and the classroom. The Committee on Intellectual Property completely updated all intellectual-property information on CAA’s website and continues to monitor the tricky terrain of copyright and fair use, which dramatically affects the work lives of artists and scholars. Committee members serve three-year terms (2013–16), with at least one new member rotating onto a committee each year. Candidates must be current CAA members and possess expertise appropriate to the committee’s work. Members of all committees volunteer their services without compensation. Committee work is not for the faint of heart; it is expected that once appointed to a committee, a member will involve himself or herself in an active and serious way. CAA’s president, vice president for committees, and executive director review all candidates in early November and make appointments in December, prior to the Annual Conference. New members are introduced to their committees during their respective business meetings at the conference. Nominations and self-nominations should include a brief statement (no more than 150 words) describing your qualifications and experience and an abbreviated CV (no more than 2–3 pages). Please send all materials to Vanessa Jalet, CAA executive liaison. Deadline: October 11, 2013. Registrants for the 2013 Annual Conference in New York may download the Abstracts and Directory of Attendees. These publications, available as PDFs, summarize the contents of hundreds of papers and talks that were presented in program sessions and list the names and contact information for those attendees who registered by both the early and advance deadlines. Program sessions are alphabetized by the chair’s last name and appear in the contents pages (4–10). An index in the back of the publication names all the speakers. Alternatively, use your Adobe Reader to conduct a keyword search for terms relevant to your interests. Similarly, the Directory of Attendees helps with networking and communication after the conference. To download the two publications, registrants can log into their CAA account, click the “Conference Registrant Information” image, and then click the Abstracts and/or Directory of Attendees icon to download a PDF. The Abstracts and Directory of Attendees are part of the registration package; there is no added cost to paid or complimentary registrants for access to these publications. 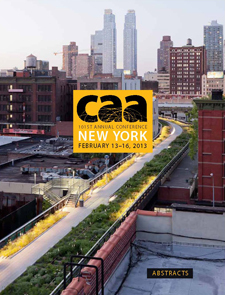 Conference attendees who purchased single-time slot tickets, or those who want the Abstracts but did not go to New York, may attain the document for a charge: $30 for CAA members and $35 for nonmembers. The Abstracts and Directory of Attendees will remain on the CAA website for download or sale through July 31, 2013. Beginning with the 2010 conference in Chicago, CAA offers its Abstracts exclusively as a PDF download. Past issues of the printed publication from 1999 to 2009 are also available. The cost per copy is $30 for CAA members and $35 for nonmembers. For more information and to order, please contact Roberta Lawson, CAA office coordinator.